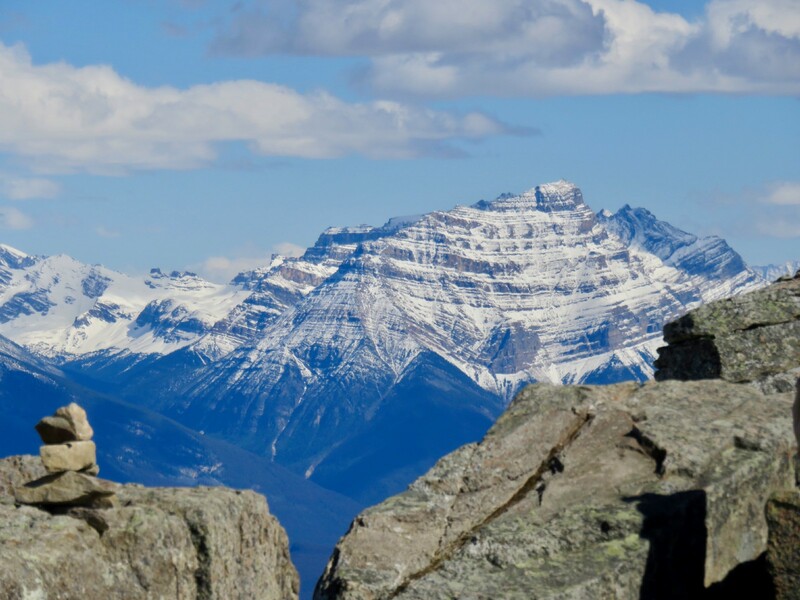 A recent trip through Montana and Alberta, Canada affected me on a deep level, especially in light of current events. As I grow older, I weave tapestries of memories, history and insights. I see and understand things I never understood before in a big picture kind of way. When I was a student at the University of Virginia, I admired Thomas Jefferson. He was a Renaissance man, inventor and founder of the college I attended. Never mind that the only students were rich sons of white slave owners. Or, that women weren’t admitted until 1970. I graduated with a degree in Art History. We didn’t study artists from the Western U.S., like Charles Russell or Robert Scriver, but we should have. They documented dying native cultures through sketches, paintings and sculptures. It was an emotional experience to wander through Scriver’s NO MORE BUFFALO series and Russell’s exhibit of Women in His Life and Art. Their works are visually appealing yet heart wrenching expositions on cultures destroyed by the encroachment of foreign settlers. In 1803, President Jefferson convinced Congress to pay France $15 million for approximately 828,000 square miles of land. 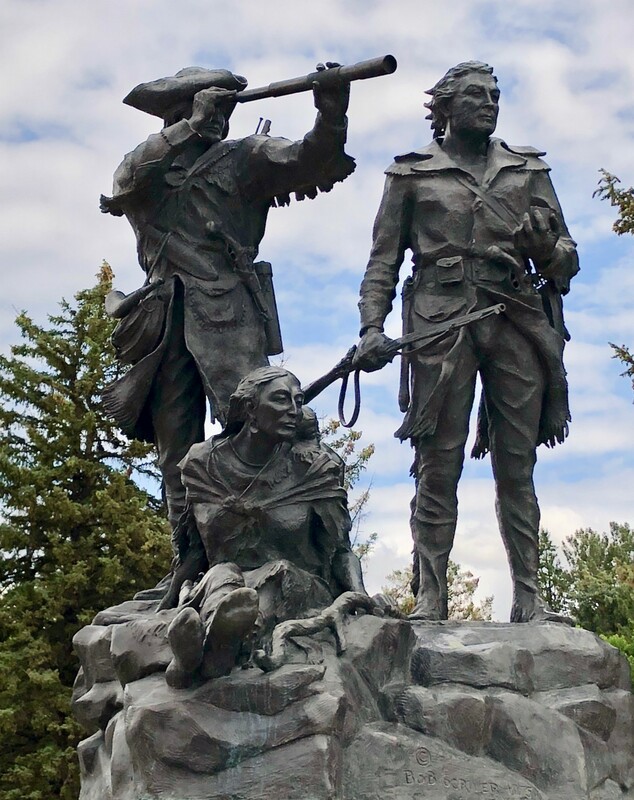 In 1804, the Corps of Discovery, led by Meriwether Lewis and William Clark, left St. Louis to explore the Missouri River. Touted as a scientific expedition, the goal was to assert American ownership of the land and to increase commerce. We visited Ft. Benton, Montana, the last stop for the steamboats that later arrived. I can’t begin to imagine those wild open spaces, ones without roads, fences or cities. Without having had that experience, I yearn for it. Native people didn’t understand the idea that land could be bought and sold, everyone had common and equal rights to it, the land was never divided. 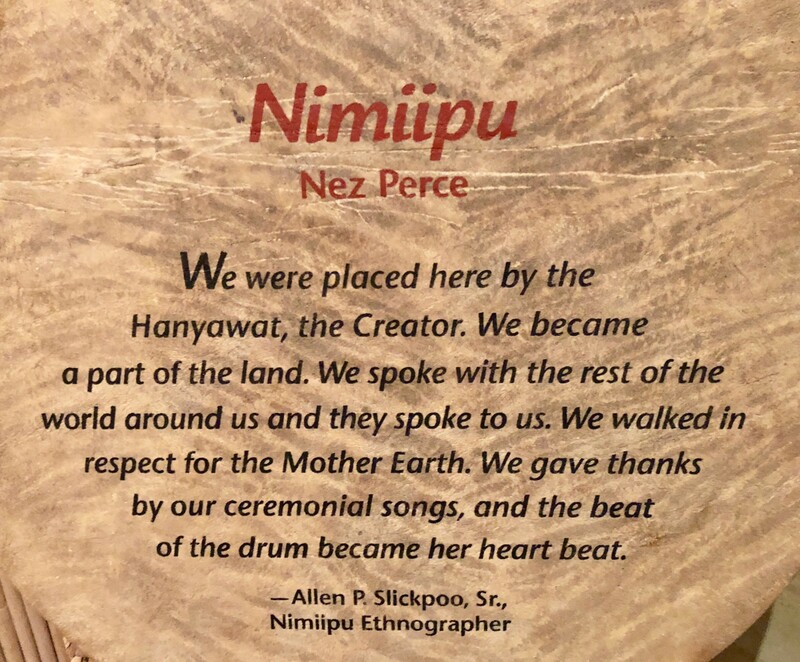 An interpretive center in Great Falls explained that the Corps of Discovery came into contact with almost fifty Native American tribes. Artifacts, thoughtfully displayed, are tiny remnants of the past, small reminders of what once was. Tribes were wiped out by small pox epidemics. Millions of buffalo were destroyed, left in rotting piles. Children were separated from their families and sent to Christian boarding schools to learn how to behave likes whites. Malmstrom Air Force Base supports the Great Falls economy. It occupies around 28,606 acres in Cascade County to the south of the Missouri River. The Malmstrom Missile Complex sprawls across 13,800 square miles, through seven counties across the north-central Montana region. It has 150 Minuteman III ICBM silo sites and 15 missile alert facilities. There are more weapons stashed in Minot, North Dakota and near Cheyenne, Wyoming. How much more weaponry do we need? As we move closer to midnight on the Doomsday clock, glaciers are melting and the Arctic ice cap is disappearing. Wildfires, heat waves and drought increase in record numbers along with more ferocious hurricanes and tornadoes. A young Australian guide on the tram near Jasper, told us that pine beetles have destroyed 60% of the forests, that next year 90% will die. Without at least two weeks of -40 degree temperatures, the beetles will continue to attack the trees. What would those brave adventurers think if they could see our world now? 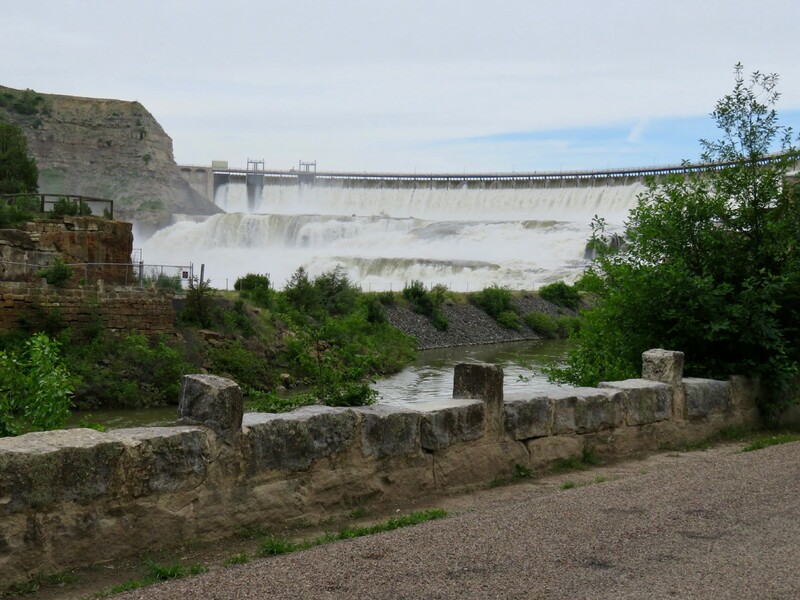 They would find an estimated 17,200 dams and reservoirs along the Missouri River. Would they find it shocking that 80–90% of old growth forests have disappeared along with many wild animals? Could they comprehend 325 million people living here instead of the little more than five million in 1800? European colonialism forever changed the world and continues to do so. Our planet is being systematically destroyed by the greedy consumption of natural resources. Population control, resource management, and environmental protections must be addressed in a sane and logical manner. We need to move away from the past into a different future. My profound desire is for humans to remember that we are all interconnected. It is vital to our survival as a species to protect and nourish each other. In a little over two hundred years, Manifest Destiny has done enough damage. There’s nowhere left to expand dominion and capitalism. If you always do what you’ve always done, you’ll always get what you’ve always got. We need a new paradigm of compassion, kindness and integrity.